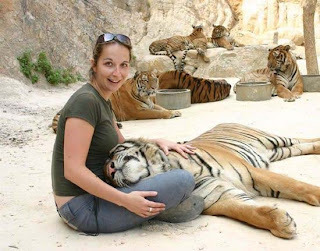 The tiger temple in thailand is a place where an extraordinary bond between man and the world's biggest cats has been formed. 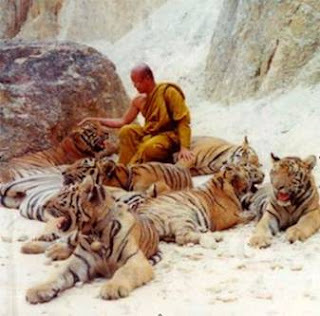 The tigers here are so peaceful…its almost as if they have accepted buddhism as their religion. In fact, they even sit for the meditating sessions with the monks and kneel down in front of them as it they are the gurus. 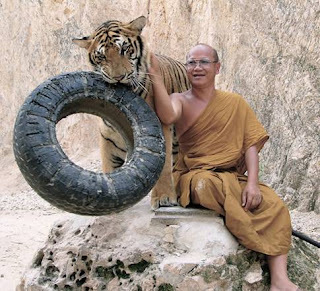 The tigers are so docile that the monks have to sometimes train them to fight otherwise they would lose all their power of self protection. 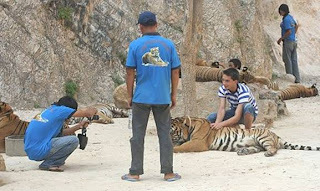 The link started in 1999 when a sick baby tiger, orphaned after poachers shot its mother, was brought to the monks. 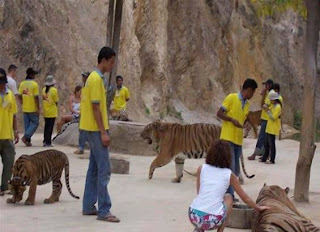 Within a few years several other tiger cubs similarly orphaned by poachers had arrived. 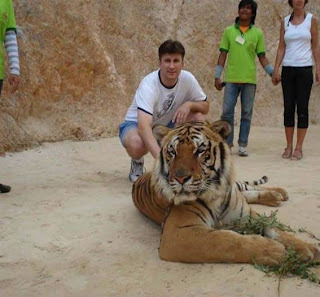 The most amazing thing is none of the cubs turned out ferocious on growing up. 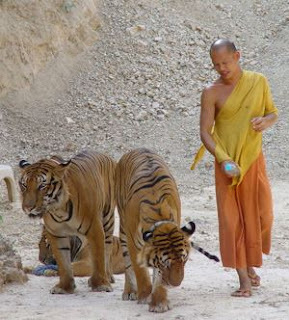 The monks believe that these tigers are none other than the former buddhist disciples who have taken rebirth in the same place. 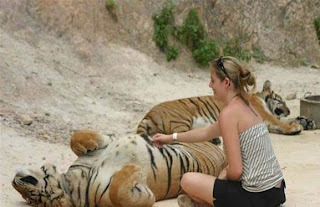 A paradise for tiger lovers !